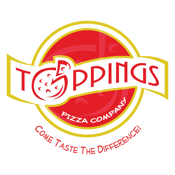 Toppings Pizza is a locally owned and operated restaurant. We offer dine in, take out, delivery (we even deliver the FULL menu) and catering to Frederick, MD. Although keep an eye out, we are always looking to expand.